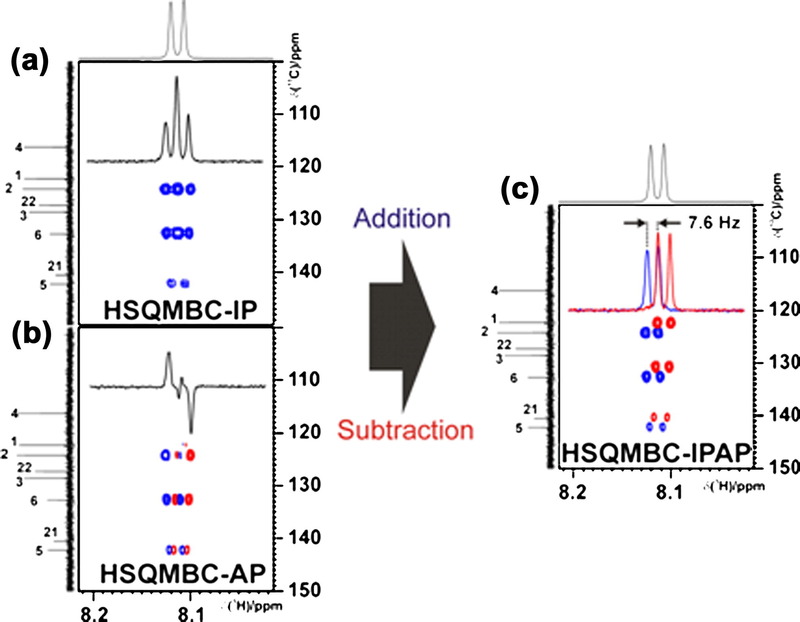 A simple proton-selective α/β-HSQMBC experiment is proposed for the accurate measurement of long-range proton–carbon coupling constants (nJCH) in small molecules without need for an individualized and time-consuming post-processing fitting procedure. The method acquires two pure-phase In-phase (IP) and Anti-phase (AP) multiplets completely free of any phase distortion due to the absence of JHH evolution. Accurate nJCH values can be directly measured analyzing the relative displacement of the resulting IPAP cross-peaks. Discussion about signal intensity dependence and cross-talk is made for a range of experimental conditions. 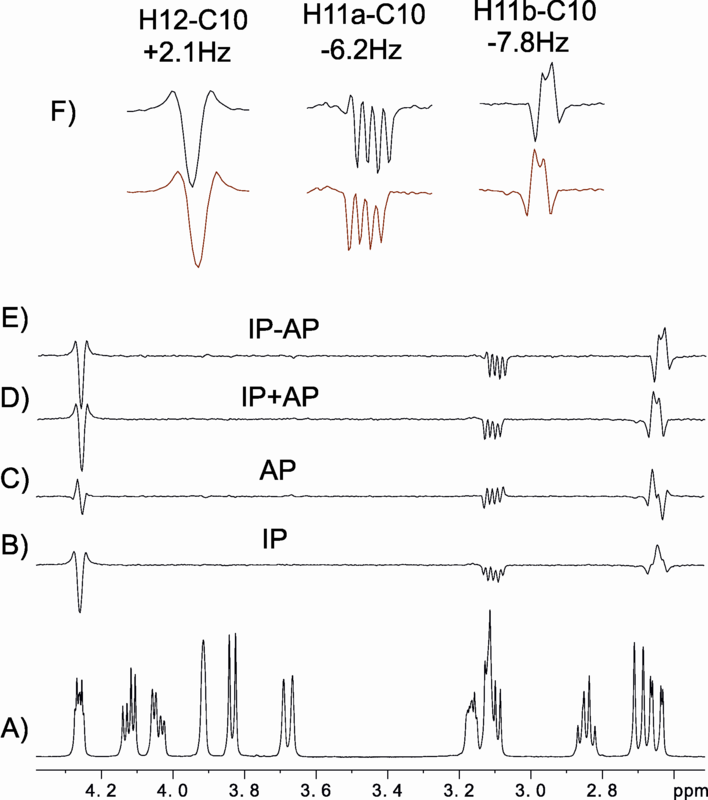 The robustness of the method is evaluated by comparing the nJCH value measured from the analysis of the three available IP, AP and IPAP multiplet patterns. Multiple-frequency and region-selective versions of the method can also be efficiently recorded provided that excited protons are not mutually coupled. Related Post: A new way to measure small proton-carbon coupling constants. “IPAP-HSQMBC: Measurements of long-range heteronuclear coupling constants from spin-state selective multiplets”, by Sergi Gil, Juan Félix Espinosa and Teodor Parella; Journal of Magnetic Resonance, 207, 312-321 (2010). © 2012, Sergi. All rights reserved by the author(s) and Universitat Autonoma de Barcelona except for texts and images already copyrighted by third parties (e.g. journal publishers) and used here under the fair use provision.